Aluminium rail system type SSK 150 car provided with the respective capture elements and associated extraction fans in accordance with BG / BIA / ASA design guidelines are intended for extracting exhaust gases in maintenance and repair services of combustion engines, as well as for emission tests and chassis dynamometers in compliance with the specified max. temperature loads. fan made of cast aluminium, with 0.4 kW motor – 400 V A/C 50 Hz, with quick clamping bracket. 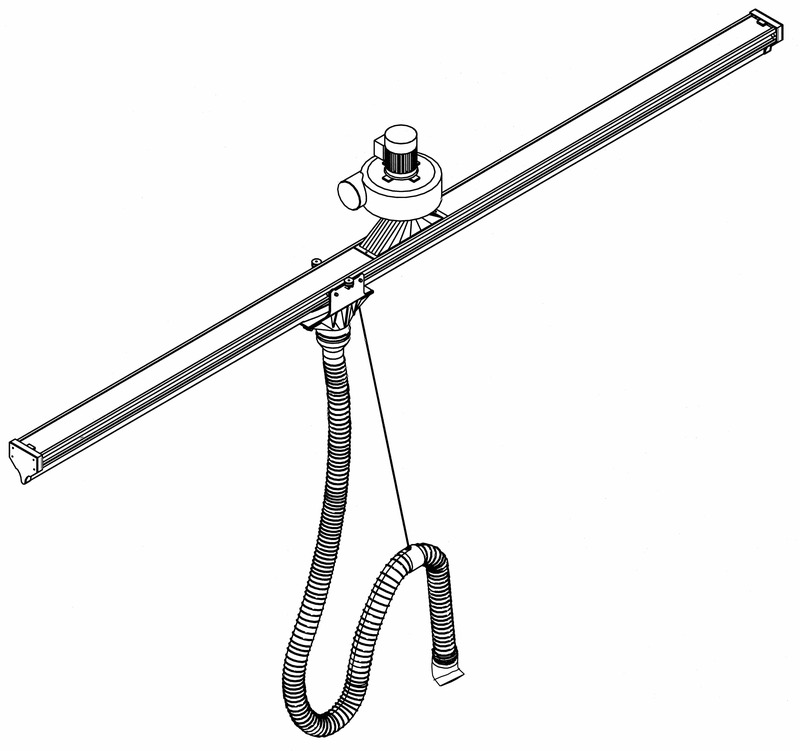 60° bend exhaust nozzle with double rotating joints for single exhaust pipes. This funnel adapts to other funnels e.g. for dual exhaust pipes.